Membership: Over 10,000 member-worlds (but only 800 member races). Known member-races include the "Drones," the Lem, the Lumina, the M'Ndavians, the Nanda, the Pheragots, the Primal Ones, and the Rigellians. Purpose: To ensure peaceful coexistence among the civilized worlds of the cosmos, to uphold and preserve sentient life everywhere, to protect all populated planets from harm. History: (Star Masters#1 (fb) - BTS) - The Charter Federation was founded approximately one million Earth-years ago to ensure peaceful coexistence among the civilized worlds. Over the millennia, the number of its member-worlds has been steadily increasing but apparently does not include bellicose races like the Skrulls or the Kree. By the late 20th Century, the Charter was the Local Group of galaxies' largest peace organization. (Shogun Warriors#20 (fb) - BTS) - "Eons" ago, both the Lumina (aka the Followers of the Light) and the Myndai (aka the Followers of Darkness) were members of the Charter. The Myndai (or at least some of them) were later banished, but a group of them who came to ancient Earth brought with them a Charter communications link. (Shogun Warriors#1 (fb)/Marvel Atlas#1: Japan entry) - Approximately 175,000 years ago, some Myndai known as the Followers of Darkness arrived on Earth and conquered it. They were pursued by a group of Lumina who opposed them and therefore called themselves the Followers of the Light. The two sides fought the Great Chaos Wars, which only ended when the last of the Myndai on Earth placed themselves in suspended animation in hopes of re-conquering the planet in the future. Most of the Lumina left but those who remained created a sanctuary near Japan's Mount Fujimoto so that their descendents would be present to oppose the Myndai upon their revival. (Shogun Warriors#20 (fb) - BTS) - At some point, the Charter Federation came to believe that the banished group had died. (Star Masters#2 (fb) - BTS) - At some point in the past, the members of the Charter Federation decided that their organization's Prime Directive was to "uphold and preserve sentient life everywhere." (Star Masters#1-3 (fb) - BTS) - At some point in the past, the members of the Charter Federation decided to establish a militia to help keep the peace among the civilized worlds of the cosmos. These tactical forces were grouped into squadrons called Cosmic Commando Units. The leadership of the militia was the Special Tactical Command which was based at Command Central, the center of the Charter's tactical operations. (Star Masters#1 (fb) - BTS) - At some point in the past, the members of the Charter Federation decided to authorize the construction of the Hub, a gigantic "star station" that was to be the center of the Charter's diplomatic operations. The Hub resembled a "floating chandelier about 500 miles in diameter" and had three million ambassadors and technicians stationed on it, living in harmony and providing support services for the organization. Despite its size, the Hub was capable of faster-than-light travel (presumably via warp travel). (Shogun Warriors#19 (fb) - BTS) - At some point in the recent past, a Nanda named Cymell "heard of" the Followers (of the Light) and their ancient epic battle with Maur-Kon's sorcerer-scientists for control over the Earth. She also became "aware" of the robot sentinels known as the Shogun Warriors. (Cosmic Powers Unlimited#5/1 (fb) - BTS) - At some point in the recent past, military sanctions were imposed on the Axi-Tun (presumably by the Charter) which forced their military to stand down. (Cosmic Powers Unlimited#4/1 (fb) - BTS) - At some point in the recent past, the Axi-Tun (under the leadership of Lord Votan) began to secretly implement a genocidal plan to destroy the Charter and everything for which they stood. As part of this conspiracy, various Axi-Tun were accepted into the Charter's ranks and came to lead the peacekeeping militia. (Shogun Warriors#20 (fb)) - Following a defeat at the hands of the Shogun Warriors, the Myndai sorcerer/scientist Maur-Kon used the ancient communications link to transmit a Charter summons but was able to make it appear that a member of the Charter race called the Primal Ones was issuing the summons. A Drone starship passing near Earth received the call for aid and, in accordance with Charter rules, answered it. Traveling to Earth, the Drone starship arrived at the volcanic island in the Pacific Ocean where Maur-Kon's ancient base was located. However, the "Primal One" whom they met there was really an artificial entity that was created and controlled remotely by Maur-Kon. By the time the Drones learned the truth, Maur-Kon had already used an energy-spell that enslaved the crew to the will of his false Primal One. (Shogun Warriors#19 (fb) - BTS) - After the enslaved Drones failed to destroy the Shogun Warriors, the false "Primal One" requested direct aid from the Charter Federation. (Shogun Warriors#19) - The Starcruiser Nightwind, the single most powerful ship in the Charter Federation, arrived in Earth's solar system and was contacted by the false Primal One who demanded that Captain Cymell aid him in his (phony) mission to strip Earth of its prematurely-advanced technology. Bound by Charter rules, Cymell was forced to allow the Primal One to take command of the Nightwind's internal symbiote, the planet-destroyer known as Gigantauron. As Captain Cymell remained aboard the Nightwind, pondering whether the Charter races really had the right to deny the wonders of the universe to others, the Primal One guided Gigantauron to New York City. After transforming to a more "humanoid" form, Gigantauron landed in the bay to the south of Manhattan Island, and the Primal One issued an ultimatum stating that Combatra and the Baxter Building would be destroyed in three minutes. Unwilling to let that happen, Combatra's five modules (operated by the three Shogun Warrior pilots plus Mr. Fantastic and the Invisible Girl) and the Human Torch attacked Gigantauron and managed to deactivate its gyro-stabilizer and destroy its power source, causing it to topple into the water near Liberty Island. The Primal One quickly fled back into space. (Shogun Warriors#20) - As Gigantauron lay inert in the bay off Manhattan, the Primal One returned to the Nightwind and claimed that it had failed because Cymell had greatly exaggerated Gigantauron's power. Outraged that the Primal One had abandoned a crucial component of the Nightwind, Cymell ordered her tractor-beam crew to retrieve Gigantauron immediately. After Gigantauron had been brought into close proximity, Cymell told the Primal One that she had investigated Earth and come to the conclusion that it was a marginal case that could not reach the stars for at least decades. Cymell stated that, although its people were still violent, they were no worse than any other Charter race at that stage, and she predicted that the Terrans would either destroy themselves long before they could pose any threat to the Charter or they would "see the light and triumph in peace" as all other Charter members had done. Cymell then stated that, since the Terrans posed no direct threat at that time, it was not up to them to define their fate. Cymell revealed that she was planning on reporting the Primal One's activities and resigning from the Charter, and then she and her crew escorted the Primal One aboard his space station. However, before Cymell and her crew could leave, a Drone reported that Gigantauron had been followed by the Shogun Warrior Combatra, which was preparing to attack. Disillusioned, Cymell relinquished command to the Primal One, but it was unable to prevent Combatra from breaching the Nightwind's hull and entering the starcruiser. After battling the Drones and threatening to cause the Nightwind to self-destruct, the humans eventually confronted the Primal One and, by displaying compassion, demonstrated to Cymell that it was he who was responsible for the conflict. the Primal One then ordered the Drones to attack and kill them all. Fortunately, the ensuing battle quickly came to an abrupt end once the Invisible Girl discovered the room from which Maur-Kon had been controlling the false Primal One and cut the power, causing the false Primal One to fade away and freeing the Drones from the energy-spell that Maur-Kon had used to enslave them to his will. The Drones immediately dropped their weapons, explained what had happened to them, and apologized for what they had been forced to do. Cymell had her crew take Maur-Kon into custody and she promised that she would see that he was dealt with when she returned to the Charter Council to resign her commission. The Nightwind and the Drone ship (presumably) soon left. (Star Masters#3/Cosmic Powers Unlimited#4/1 (fb) - BTS) - As part of their secret plan to cleanse the cosmos of all "inferior" alien races, the Axi-Tun developed a living hybrid cosmic plague that could mutate to become lethal to every species to which it had been exposed. The plague was contained in the Cauldron of Purification aboard Aldebron's starship. Each targeted race had to be sampled by the plague and this required that a large number ("scores" or more) of each race be dumped into the cauldron and exposed to the toxic ooze, thus enabling the plague to adapt itself to that particular species. Once this was accomplished, the target race was considered to be "fully converted," and the plague would from then on be lethal to every member of that race. Over time, the Axi-Tun managed to make their plague lethal to every race that was a member of the Charter (or, at least, to every race who had some members stationed on the Hub). (Star Masters#1-2 (fb) - BTS) - Another part of the Axi-Tun's plan to commit universal genocide involved an unknown number of purification vessels. The one commanded by Captain Ramrog used a planet-pulverizer, a tiny black hole that was embedded into various large meteoroids which Ramrog's ship would then transport through hyperspace into the vicinity of the target planets. The meteors would then be released to strike their targets and wipe out all life on them. Ramrog's starship would then recapture the black hole to use it against the next planet. (Star Masters#1) - With the destruction of all life on the planet Arcturus IV, Captain Ramrog's ship completed its seventh successful mission, a record that no other purification vessel could touch. Ramrog then ordered Astrogator Ghant to set course for their next target: Sol III...Earth. (Star Masters#1 (fb) - BTS) - The Charter decided that it was time to offer Earth membership in their organization so the Hub traveled to Earth's solar system and entered a solar orbit that was 38 light minutes above the plane of the solar system. From that position they began beaming a message at Earth. 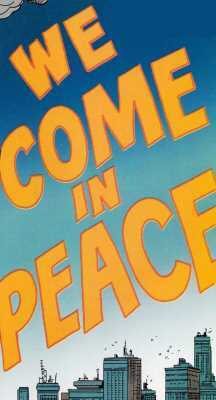 This energy manifestation *somehow* affected the perception of every sentient being on Earth, causing them to see the message "WE COME IN PEACE" spelled out in huge ("three hundred mile high") yellow letters written in the sky. Through unrevealed means, the Hub caused their message to be visible directly overhead from every known point on the Earth's surface and made it so that it appeared to every observer in a language which he or she could understand. Naturally, this "ambiguous message" caused the people of Earth to panic. (Star Masters#1) - Responding to a distress call from his mother, the Earth hero (and Protector of the Universe) Quasar traced the message beam to its source and traveled to the Hub. After entering through a docking area, Quasar was greeted by Ambassador D'Melza of the Nanda who escorted him to the office of Peacekeeper-General Mduul. As they talked, Mr. Mduul explained that the message was advance notice of the Charter's approach. Mduul then explained what the Charter was, gave Quasar a tour of the Hub, and revealed that they had come to offer Earth membership in the Charter. Seeing that his guest looked fatigued, Mduul escorted Quasar to a room where he could rest and suggested that they could further their discourse later. After Epoch confirmed that the Charter were what they appeared to be, a vast peacekeeping concern with a distinguished record, Quasar settled down into a sound sleep. (Star Masters#1 - BTS/Cosmic Powers Unlimited#4/1 (fb) - BTS) - As Quasar slept soundly, every other living being on the Hub died, collapsing in the midst of whatever they were doing, after being exposed to the Axi-Tun's cosmic plague via the Hub's ventilation system. 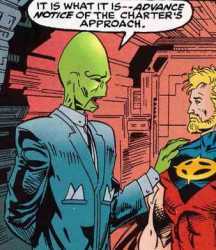 (Star Masters#1) - After waking up, showering, shaving and dressing, Quaar went to talk with Mduul but found him dead. Flying off to get help, all Quasar found were more bodies everywhere. In the communications center, Quasar responded to a video call from Aldebron who was supposedly trying to contact her ambassador but it was actually a pretense to allow her ally Sidereus to obtain the image and sounds he needed. After some processing, Sidereus created a message in which Quasar, speaking on behalf of the people of Earth, ordered all extraterrestrials to stay out of Earth's star system and claimed responsibility for what happened to the Charter. This message was then simulcast as a trans-light transmission throughout the Tri-Galaxy area and reached a vast audience, including the Silver Surfer, the Rigellians, the Shi'ar, the Skrulls, Cloud of the Nebulae, and Odin's Vizier in Asgard. (Cosmic Powers Unlimited#4/1 (fb) - BTS) - After seeing this message, Charter members not onboard the Hub sent out the nearest Cosmic Commando Unit to apprehend Quasar. The Rigellian High Command sent an investigative team headed by Tana Nile to the Hub to determine the cause of death of the delegates to the Charter. (Star Masters#1) - Quasar was checking out the Hub's atmospheric generator when an automated message alerted him to an arrival in docking bay 67293. When he went to that docking bay Quasar was confronted by Cosmic Command Unit One, the Charter's elite tactical deployment force. Their leader, an Axi-Tun named Captain Morfex, placed him under arrest for the duration of their investigation. 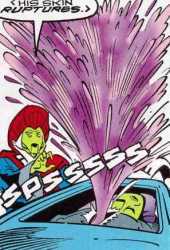 Quasar surrendered and allowed himself to be placed in energy-shackles, but he broke free and escaped after learning that he had supposedly made a broadcast which somehow made him a suspect in the deaths. Aboard their starship, the Cosmic Commandos began to follow Quasar's energy reading. (Star Masters#2) - Catching up to Quasar, the Cosmic Commandos found him in the company of the Silver Surfer and Beta Ray Bill. When the Surfer refused to surrender Quasar, the Commandos were deployed and a battle between them and Quasar and Beta Ray Bill began. Noticing that the Surfer was attacking a planetoid instead of the Commandos, Morfex investigated and discovered that the planetoid would soon collide with Earth. Deciding that the Charter's Prime Directive to preserve sentient life took precedence over their mission to capture Quasar, Morfex ordered his squadron to help destroy the planetoid, but they did not acknowledge. Morfex then received a transmission from his superior (an Axi-Tun) at Command Central who ordered him to NOT assist in the destruction of the planetoid. Morfex choose to disobey that order and fired the de-cohesion beam at the planetoid but was soon struck from behind and knocked out by his subordinate Stenth (another Axi-Tun), an action which revealed that Morfex was actually a Skrull. Morfex was then tossed out the airlock but was saved by Xenith and Quasar. While this was happening, the Silver Surfer managed to stop the meteoroid, and Beta Ray Bill sent the tiny black hole to a location far away from Earth. In the aftermath, Quasar, the Silver Surfer, Beta Ray Bill, Morfex and Xenith decided to find the real killers of the Charter delegates and whoever had tried to destroy Earth. Thus, the quintet banded together as the Star Masters. (Star Masters#3) - At the Hub, the 28-member investigative team (composed of 4 organics and 24 Recorders) led by Tana Nile arrived to determine the cause of death of the 10,451 delegates. The team split up into four search parties, but one party was captured by Axi-Tun warriors and held hostage to force the rest of the investigators to surrender. (Cosmic Powers Unlimited#4/1) - In the confusion, one of the Recorders was able to hide and transmit a hyper-spatial recording to the Rigellian High Command. Included in his report was his discovery of an as yet unidentifiable chemical compound residue within the Hub's ventilation system. (Star Masters#3) - After defeating the rest of Cosmic Commado Unit One, the Star Masters returned to the Hub and began to search for clues about the mass murder of the Charter delegates. Once there, they split into groups to cover more area but were soon ambushed and captured by the Axi-Tun who then brought them to their ship in docking bay 1260. As the Star Masters were about to be disposed of in the Cauldron of Purification, Beta Ray Bill tried to save the, but mysteriously disappeared instead and the Axi-Tun quickly dumped the remaining Star Masters into the cauldron. While the Axi-Tun celebrated the fact that their enemies had been converted, Quasar placed quantum-auras around his team to protect them from the toxic fluid and secretly drilled a hole through the bottom of the cauldron that allowed them to get out. Quasar then sealed the hole behind them to prevent their escape from being detected, and the Star Masters discovered that the gunk from the cauldron was ALIVE! (Cosmic Powers Unlimited#4/1 (fb) - BTS) - The Axi-Tun removed all traces of the plague from the Hub. (Cosmic Powers Unlimited#4/1 (fb) - BTS) - Many of the Charter members' home planets sent bounty hunters and assassins after Quasar. (Cosmic Powers Unlimited#4/1) - Aboard the Hub, in the Axi-Tun starship docked there, the four remaining Star Masters were protected from the ooze by Quasar's quantum-auras. The Silver Surfer discovered that Beta Ray Bill had been somehow warped back to Asgard and then, when the ooze became more active, he felt that it meant them no harm and placed some of it on his head. From this encounter, the Surfer learned that the protoplasm had a limited sentience and a desire to communicate but left him with the impression that it could communicate more fully with a Korbinite (like Beta Ray). The Surfer then left to find Beta Ray Bill and the last three Star Masters remained onboard to rescue the prisoners being held aboard the starship. 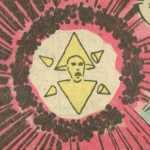 (Cosmic Powers Unlimited#4/1 - BTS) - On Aldebron's orders, Sidereus created a false message from Tana Nile to the Charter which stated that Quasar was dead and that the Hub was now secure so that detachments could now be sent to bring the dead back to their home planets. (Cosmic Powers Unlimited#4/1) - The Axi-Tun starship hastily retreated from the Hub, unaware that Quasar, Morfex and Xenith were still alive and onboard. (Cosmic Powers Unlimited#4/1 - BTS) - On the Hub, the body of Peacekeeper M'Duul was retrieved by his people and taken back to M'Ndavi where it was placed in the Temple of Skarn for viewing. (Cosmic Powers Unlimited#4/1) - On M'Ndavi, the skin of M'Duul's corpse ruptured and released the hybrid plague that spread across the entire planet with unheard of speed. Within hours, every M'Ndavian on the planet was infected and they all died swiftly and in agony. Via a holographic message, Aldebron reported to Lord Votan that the M'Ndavian population had been eliminated and that their deaths had been attributed to an assault of germ warfare by the Pheragots. Lord Votan then addressed the masses of his loyal followers and bragged about how their "divine destiny" of being the rightful possessors of a cosmos cleansed of the contamination of all inferior foreign species was within their grasp. In the crowd, Votan's brother Landar considered Votan's plan to be contemptible and wondered how his brother had managed to so thoroughly subvert the will of the Axi-Tun people. (Cosmic Powers Unlimited#4/1) - On board the Axi-Tun starship, Morfex (disguised as Sidereus) was able to trick some Axi-Tun soldiers into not taking the prisoners to the Cauldron for conversion, and then he and his companions freed them. After some initial confusion, during which Tana Nile attacked Quasar with a mental thrust until his thoughts revealed his innocence, the rescuers and former prisoners headed to the cargo bay where Tana Nile's mental thrusts took care of two Axi-Tun guards and obtained the security codes needed for them to make their escape. 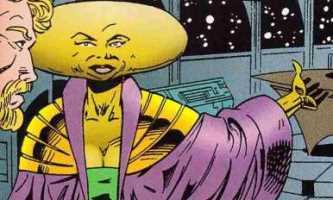 As Quasar flew them all back to the Hub, Tana Nile revealed that her mental thrusts of the guards had revealed that the Axi-Tun saw themselves as some sort of master race and were planning to eliminate all other races within the cosmos and had set Quasar up to take the blame. (Cosmic Powers Unlimited#4/1) - Back on board the Hub, Tana Nile had just assured Quasar that she would do all she could to clear him of the charges brought falsely against him when the Silver Surfer and Beta Ray Bill joined them. The Surfer revealed that Beta Ray had communicated with the protoplasm and learned that it was a living hybrid plague and that the Axi-Tun had been sacrificing beings to the Cauldron so that the plague would mutate into infections which could eliminate the victims' entire races. Beta Ray Bill then revealed that the reason he could communicate with the protoplasm was because he shared its genetic makeup and that the Axi-Tun had murdered the last vestiges of the Korbinites. The group swiftly realized that the Axi-Tun plan was to use the infected bodies of the dead on the Hub to wipe out the populations of each race's home planets. When Tana Nile announced that Peacekeeper M'Duul's remains had so far been taken, Beta Ray declared that the M'Ndavi were no more. Quasar stated that the dead bodies on the Hub had to be destroyed to stop the plague from spreading but Tana Nile objected, pointing out that many of the races involved would not tolerate such an act of desecration. 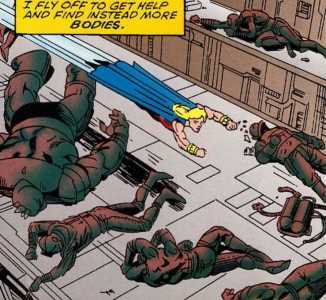 The Surfer was prepared to destroy the bodies anyway, but Quasar suggested that, to avoid starting another potentially dangerous conflict, he should use his power cosmic to destroy the infection at a molecular level while leaving the "host bodies" undisturbed. The Silver Surfer agreed and, with concentration, was able to neutralize all traces of the lethal cosmic plague within the thousands of infected corpses. The Star Masters then managed to find and board the Axi-Tun starship carrying the Cauldron. While Quasar, Beta Ray, Morfex and Xenith battled the Axi-Tun warriors, the Surfer found the Cauldron and discovered that the plague had grown even more powerful but by combining his cosmic energies with Quasar and Beta Ray's quantum and alien energies they were able to completely destroy the Cauldron and the plague within. The Star Masters then attempted to capture the starship, but Lord Votan condemned the crew as unworthy failures and ordered them to purify themselves. Thanks to Quasar, the Star Masters escaped the starship's self-destruction but the crew died (except for Aldebron and several others who chose to be above purification and secretly escaped as well). (Cosmic Powers Unlimited#4/1) - Days later, after all the dead had been removed from the Hub, newly-elected representatives from the member worlds gathered at the Hub to finalize sanctions against the Axi-Tun. Tana Nile announced that, due to the Axi-Tun's heinous crimes against the galaxy, the Charter had decided, by an overwhelming majority, that the Axi-Tun were to be expelled from the Charter and that charges were pending against their ruler, Lord Votan. Tana Nile then introduced to the gathering those who were responsible for stopping the Axi-Tun onslaught that threatened the galaxies...the Star Masters...and she thanked them on behalf of the Charter. (Cosmic Powers Unlimited#5/1 (fb) - BTS) - The Pheragot government wanted to retaliate against the Axi-Tun for the deaths of the Pheragot Charter members aboard the Hub and for their race having been framed for the obliteration of the Mn'Davi, but they agreed to not act if the Charter's chosen agents, the Star Masters, dealt with Lord Votan swiftly. However, Commander Tiborgh disagreed and disobeyed orders by having his starcruiser travel to the Tun system to bombard the surface of the planet Tun with thousands of regenerative warheads. (Cosmic Powers Unlimited#5/1) - Tana Nile and the Star Masters arrived on the planet Tun to place Votan under Charter arrest for unprovoked acts of war and murder and to take him into custody, but Votan's covert use of his (secret) will-sapping power quickly resulted in them being imprisoned. Hours later, Quasar was brought before Votan, who used his power to compel Quasar to "confess" that it was really he who had killed the Charter members at the Hub, that the Star Masters had come to Tun to murder Votan and enslave the Axi-Tun, and that they had set up Votan to take the blame for their sins. As this was happening, Tana Nile and the other Star Masters in the dungeons deduced that Votan had the ability to sap the wills of others to strengthen his own, and they then allowed Tana Nile to siphon what remained of their wills and channel them to Quasar to give him the strength to resist Votan. As Landar and his loyal followers confronted Votan, Quasar freed himself and he also confronted Votan, forcing the dictator to focus on him and thereby release the other Star Masters, who quickly broke themselves free from their prison. Landar was able to rally some of his people against the weakening Votan, sparking a civil war. In the midst of this, the renegade Pheragot warship attacked Tun, but was only able to successfully launch an initial attack before being stopped by Quasar, the Silver Surfer, and several Axi-Tun. As Quasar placed the captured starship crew under Charter sanction, the battle at the capitol came to an end as the last of Votan's minions regained their own wills. Votan still refused to surrender and proved able to still use his power to defend himself against any attackers except for Beta Ray Bill who used his hammer to place a stasis aura around Votan, preventing his power from affecting anyone. When Tana Nile stated their intent to take Votan with them to be tried for his crimes against the Charter, Landar objected, pointing out that the Axi-Tun had been expelled by the Charter and so its rules no longer applied to them. Hostilities were prevented when Beta Ray Bill insisted that Votan had to be judged by the entire galaxy as well as his own race for his crimes, and Morfex pointed out that Votan's continued presence on Tun would enable him to lead a revolt against Landar's restored rule. Hours later, after the final arrangements had been made for Votan's transfer and for Landar's testimony and defense of his brother at the Hub, the Star Masters and Tana Nile prepared to leave Tun with Votan as their prisoner. And the Charter has never appeared (or even been mentioned) since then. The rules which govern the members of the Charter Federation are themselves referred to as "the intergalactic charter" on two occasions, once by Cymell (in SW#19) and once by the false Primal One (in SW#20). The Charter, as it appears in the Star Masters limited series, seems to be a bit more benevolent than the Charter Federation from Shogun Warriors. At the very least there is no mention of them taking action against less developed worlds whose inhabitants had not "matured" enough to even be considered for membership in the Charter. The name of whatever device Captain Ramrog's starship used to move their "planetoid bombs" has never been revealed but they seemed to just use several guide-ships equipped with tractor beams to get the job done. The idea that a Rigellian planet-lock device might have been used appeared in Star Masters#3 when Recorder 901 reported a near collision between Earth and a planetoid which originated outside the Sol system and Tana Nile then ordered him to contact Rigellian High Command and determine if any of their planet-lock devices had been reported stolen or missing. However, Tana Nile's suspicions were never confirmed or disproven. How many races were members of the Charter? 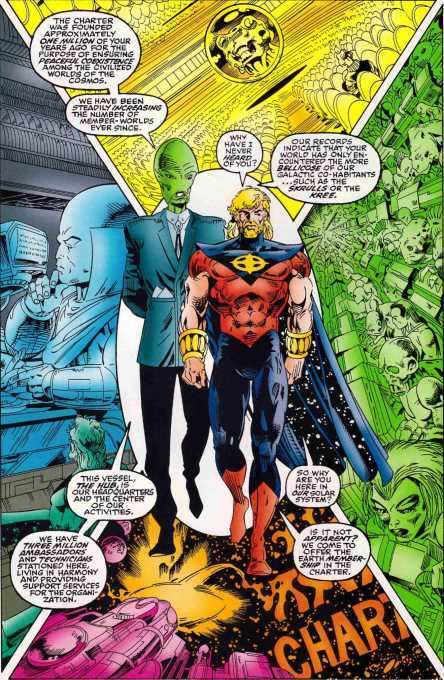 In Star Masters#1, Mr. Mduul told Quasar that the Charter had "over ten thousand member-worlds" but in Star Masters#2 Lord Votan mentioned "the eight hundred member-races of the Charter." So, which is the correct number? I'm in favor of the compromise solution: There are only 800 species who are members of the Charter but between them they inhabit over 10,000 worlds. That's about 12.5 worlds per species which seems unlikely but then again the Rigellians alone might have hundreds of colony worlds, so maybe it works out? Or maybe Mduul was exaggerating a bit. How many were killed in the massacre at the Hub? There are conflicting reports of how many sentients were killed by the Axi-Tun biological attack on the Hub. In Star Masters#1, Mr. Mduul told Quasar that the Charter "had three million ambassadors and technicians stationed here" and Quasar later found himself to be the only living being on board. This death toll is confirmed by the page 1 recap in Star Mastrers#2 which states that "the three million inhabitants of the star station had been murdered." On the other hand, in Star Masters#3, Recorder 901-E's database entry mentions that he is part of a group who have come "to investigate the cause of death of the 10,451 delegates to the Charter, among them 3 Rigellians." And then in Cosmic Powers Unlimited#4 the Rigellian High Command watches a message from one of their Recorders which refers to the attack on the Hub "which caused ALL 10,451 inhabitants to perish." So, what's going on here? Did someone at Marvel decide that the initial death toll was just too high for a comic book and ordered that it be reduced to a more "acceptable" number? Or does Recorder 901-E's statement not actually contradict the original death toll (since it could simply mean that only 10,451 out of the 3,000,000 dead were actually delegates and that the other victims were support/non-delegate personnel) but the writer of CPU#4 simply misread that statement and as a result he incorrectly used that figure as the total death toll? In their first appearances, the Nanda were all green-skinned while the single M'Ndavian seen had yellow skin but in Star Master#1 these skin colors were switched, with Mr. Mduul (later confirmed as being a M'Ndavian) having green skin while Ambassador D'Melza of the Nanda was yellow-skinned. So, was this exchange of skin colors something that was planned, to show that alien races in the MU can have a range of skin colors (like Earth humans) and did not have to all be the same color? Or was it a mistake by the colorist which the editors later decided would be easier to let stand than to explain away? A number of images in the Star Masters miniseries depict the Hub and/or the heroes in space with moons or planets visible behind them. This is a problem because the entire miniseries takes place in Earth's solar system with the Hub orbiting Sol 38 light minutes above the plane of the solar system so there shouldn't be ANY planets anywhere nearby. I guess it can be chalked up to "artistic license" but it's still annoying. Some of the details of the Axi-Tun plan for cosmic genocide seemed to be not that well thought out or, at least, weren't fully explained on panel. For example, the Axi-Tun used a plague to wipe out the population of a star station and somehow expected that nobody would realize how it was done? I know Aldebron mentioned that all traces of the plague had been removed from the Hub but surely autopsies would reveal that cause of death was due to a viral infection? And even if the cause of death somehow couldn't be precisely identified, it seems unlikely that any species would insist that the corpses of their dead should be returned to them before the cause of death was determined. It's just common sense: If someone dies mysteriously and the possibility of it having been an infectious disease hasn't been ruled out, then it would be reckless to bring the body to a place where other people could be exposed to it. Certain events in the storyline occurred at an excessive speed. During the time that Quasar, Morfex and Xenith spent trapped on the Axi-Tun starship, the Axi-Tun created a false message from Tana Nile saying that the Hub was secure. This allowed a M'ndavian detachment to board the Hub, remove Mduul's body and transport it back to their homeworld in the Shi'ar galaxy (aka the M33/Triangulum Galaxy, 3 million light-years away). Once there, Mduul's corpse ruptured and released a plague that wiped out everyone on M'Ndavi "within hours." And all of this took place before the Star Masters managed to rescue the prisoners and escape? This seems highly unlikely, especially since the time from when the disguised Morfex intercepted the prisoners (just as the Axi-Tun starship left the Hub and therefore before the M'Ndavians retrieved Mduul's body) to when Sidereus demanded to know where the prisoners were and realized that he had been impersonated by Morfex seems to have been quite brief. Special mention should be made of the "unheard of speed" with which the plague spread around the planet M'Ndavi. Originating from a single source, the disease infected every M'Ndavian on the planet "within hours." How exactly could such a thing happen? Even assuming that the disease was spread by both airborne transmission and person-to-person contact, it would take weeks for a disease to spread across Earth. Of course, there are several factors which could have sped thing up. First, M'Ndavi could be a smaller planet than Earth, thus reducing the area into which the disease had to spread. Second, according to the OHotMU, the estimated population of the M'Ndavians was only 49 million even before the plague so there were less people who had to be infected before the entire race was exposed, and if the population was concentrated in a small number of cities close to the Temple of Skarn, then that would have only made it easier for the plague. Finally, given that the hybrid plague was able to spread throughout the 500-mile-wide star station and kill all of its victims before any of them could sound an alarm, it seems reasonable to assume that it was genetically-engineered to have a method of transmission that was much faster than any "normal" plague. If it could somehow have been designed to spread like radiation, then it would have spread with the speed of light. Perhaps the greatest problem with the storyline is a purely physical one. In Cosmic Powers Unlimited #5, three of the pages seem to have been placed in the incorrect order. At the end of page 14, Aldebron has just ordered Sidereus to create that faked message from Tana Nile and then states that they must leave the Hub before the transports arrive for the dead, and then on page 18 the Axi-Tun starship is shown making "a hasty retreat from the Hub." Unfortunately, page 15 depicts how the plague spreads across M'Ndavi "within hours" and pages 16-17 show Aldebron reporting this to Lord Votan who then informs his people of these "glorious tidings." This sequence of events makes absolutely no sense at all. Those three pages would be better positioned later in the issue, with "Page 15" taking place between pages 23 and 26 and "Pages 15-16" taking place between pages 27 and 28. Of course, there's still the problem of Sidereus, whose realization (on page 28) that he was impersonated should take place fairly soon after that impersonation actually occurred (as part of the rescue of the prisoners) on pages 18-23. This profile has eight sub-profiles, two for noteworthy characters who hadn't been profiled yet and six for the races (out of the ten known to have been members of the Charter) who haven't received their own profiles yet. For five of those six, the information presented has been taken from the first or second editions of the OHotMU (or a combination of both). However, in some cases I have modified/updated the original data when it was either inaccurate in the first place or when it had become outdated. This mostly applies to the Lumina and Myndai quarter-page OHotMU entries whose information, as trimmed down to meet space limitations, was distorted and inconsistent with what had been revealed in the pages of the Shogun Warriors series. For the record, I believe that the information that was created for those quarter-page entries on the various alien races should be taken with a grain of salt. I have the impression that whoever wrote them did not really spend a lot of time carefully considering each new "fact" that he was creating. For example, the idea that the Nanda have a population of 26 BILLION seems excessive, especially when the Rigellians, a race known to be very aggressive in their colonizing of other worlds, are supposed to have only had a population of 17.7 billion. And that's not counting outright mistakes (like the idea that the homeworld of the Centaurians is located in the BETA Centauri star system). I'm not saying that all the new "facts" are wrong but I would urge any writer using the Handbook as a resource to not blindly trust that all its information MUST be accurate. The goal is always to compare the information from the handbooks with past story information for consistency or inconsistencies and then to see if/how such inconsistencies would best be reconciled (with editorial involved in final decisions). Then we have to do some research in astronomy, etc. to make sure the information provided on locations, star-types, etc. is accurate. Always the goal, but we always appreciate having errors we created or missed be pointed out so we can correct them and avoid making them in the future. The Lumina are members of the federation of alien races called the Charter. The Luminan Followers of the Light came to Earth during the Jurassic Period in pursuit of renegade Myndai. They established an outpost on Earth which was only recently destroyed. They built the Shogun Warrior robots and chose their pilots. The Myndai were engaged in a galaxy-wide war with the Lumina which eons ago touched upon Earth. A handful of Myndai were placed on Earth in suspended animation and only recently revived. The Myndai were once members of the federation of alien races called the Charter. The Lumina are members of the federation of alien races called the Charter. The Myndai were once members of the federation of alien races called the Charter. The Myndai were engaged in a galaxy-wide war with the Lumina which eons ago touched upon Earth. The Luminan Followers of the Light came to Earth during the Jurassic Period in pursuit of renegade Myndai. The Followers of the Light established an outpost on Earth. A handful of Myndai were placed on Earth in suspended animation. The handful of Myndai only recently revived. The Followers of the Light chose the Shogun Warrior robots' pilots. The Followers of the Light's outpost on Earth was only recently destroyed. Okay, that's better but it still needs to be tweaked a bit since there are still three other issues that should be dealt with. Problem #1 is the question of when the Lumina and the Myndai came to Earth. The original stories claimed that the Myndai arrived during a time when dinosaurs ruled the planet and the OHotMU supported that claim by stating that the Followers of the Light came to Earth during the Jurassic Period. Also, the "Distant Past" chapter of Robert Wicks' the Unofficial Chronology to the Marvel Universe stated that the two warring races came to Earth "175,000,000 Years Ago." However, the entry for Japan in the 2007 Marvel Atlas#1 contradicted those dates by stating that the Followers of Darkness arrived on Earth "approximately 175,000 years ago." While it's possible that this date from the Marvel Atlas is just a typo, I prefer to believe that the history of the Lumina-Myndai war has been officially revised in the wake of the revelation (in Star Masters#1) that the Charter was founded approximately one million Earth-years ago. If this "fact" is true, then Maur-Kon and his Dark Agents must have gone into suspended animation sometime after that founding since they had a Charter communications link in their base. So, with that in mind, drastically reducing the amount of time that both the Myndai and the Lumina had spent on Earth seems like a prudent choice. Problem #2 has to do with "official" claims that the Lumina have average lifespans of thousands of years and that they used suspended animation technology. Both of these ideas originated with the Handbook staff, presumably to account for implications in early Shogun Warriors stories that Dr. Tambura was known to Lord Maur-Kon, a "fact" which would mean that Tambura must have been alive before Maur-Kon began his stay in suspended animation. However, while an extended lifespan and/or use of suspended animation technology could account for Tambura's apparent longevity, neither of these possibilities was even hinted at during the series. On the other hand, there was a mention of something which could provide another explanation: When asked about their plans for future sentinels (since there was only one woman among the four Followers), Tambura replied that their descendents would be "the results of parthogenesis...Cloning and other scientific methods." While the questioner was asking about future generations, Tambura's answer does not preclude the possibility that cloning might have ALREADY been used to create previous generations of Followers. If one follows this reasoning, it's not too big of a stretch of the imagination to wonder if perhaps ALL of the Followers were actually clones as well. Perhaps the original group of Followers who chose to stay on Earth as sentinels were too few to maintain a viable gene pool and so cloning was used from the very beginning. However, this explanation, while having at least some in-story "evidence" to support it, is still only speculation so I have kept it in this Comments section. It should be noted that there is a problem with the idea that Tambura might have been alive back in the time before the last of the Followers of Darkness were in suspended animation. On several occasions, Tambura speaks of previous generations of their ancestors who had served as sentinels before them. Of course, it's possible that Tambura could have been misleading the human pilots of the Shogun Warriors in order to hide his own extreme longevity but at least some of those references to "our ancestors" were made when only his fellow Followers were present and since they presumably knew the truth about him, why would he have bothered to lie? With this in mind, it seems clear that Tambura was not incredibly old but that someone with his name and appearance was present way back when Maur-Kon and his Dark Agents were defeated. More and more, cloning looks like the best possible explanation...but it's still only speculation. Problem #3 concerns the fact that both the Lumina and the Myndai races appear to be externally identical to both each other and the human race of Earth. I've always been bothered by the overabundance of "humanoid" alien races in the MU, and especially all those "identical-to-Caucasian-Human" aliens, but I'm not going to try to present some reason why these alien races happen to look so much like Terrans. However, since I do feel that it would be beneficial to consolidate such races whenever there's a plausible reason to do so, I am going to suggest that the reason why these two warring alien races look like each other is because their war actually began as a civil war which divided a single race. Maybe, like the Vulcans and Romulans from television's "Star Trek" series, the Lumina and the Myndai began as a single race (the Lumyndai?) whose culture eventually reached a crossroads, with one faction of their population believing that they should conquer other planets while another group believed that none of their race should be allowed to interfere with other worlds. Eventually this schism led to the Great Chaos Wars being fought between the "Lumina" and the "Myndai." Who knows, maybe the "Darkness" which the Followers of Darkness follow is an actual entity which corrupted some of the original race and turned them against their fellows? Again, this is all merely speculation and so it remains confined in this Comments section. I really enjoyed reading the SHOGUN WARRIORS series but it certainly had its weaknesses. Aside from those mentioned above, it was never explained exactly how the last of the Followers of Darkness ended up trapped in a state of suspended animation within their own underground base or why the Followers of the Light didn't act against their enemies when they were helpless. On the one hand, the Followers of the Light had essentially won the war so why would they put the last of their enemies into suspended animation and leave them on the planet? And on the other hand, why would the last Followers of Darkness ever put themselves in a state which left them completely vulnerable to their enemies? This idea that these evil aliens were left sleeping on Earth since ancient times with only some sentinels to guard against them is the central premise of the whole series but how this situation came about was never really explained. After thinking about this problem, I have only come up with one possible explanation which seems at all plausible. Suppose that the Followers of the Light had a code of conduct which ABSOLUTELY prohibited them from causing, even indirectly, the deaths of any living beings (even evil ones) when they were in a helpless state. And let's further suppose that Maur-Kon knew of this code and saw a way to use it to his advantage. First, Maur-Kon set things up so that his underground base would self-destruct if anyone entered or exited it. Next, he contacted the Followers of the Light and told them what he had done and what he was about to do. And finally, before his enemies could react, Maur-Kon cast a spell of "long sleep" over himself and everyone else in his "Haunt of Evil." As a result of these machinations, the Followers of the Light found themselves with their (metaphorical) hands tied. They couldn't kill Maur-Kon and his Dark Agents because they were helpless in their suspended state and they also couldn't remove them from Earth (even by teleportation) because doing so might trigger the self-destruct and also kill their helpless enemies. So, faced with their own inability to stop their enemies at that time, most of the Followers of the Light left Earth and resumed their normal lives as Lumina, but one group remained behind to act as sentinels against the time when their enemies might revive. The main problem that I can see with this theory is the fact that the final battle of the Great Chaos Wars was supposedly fought in Maur-Kon's underground base. D'Melza was the Nanda ambassador to the Charter who was stationed on the Hub at the time when they came to offer membership in the Charter to the humans of Earth. When the Earth hero Quasar came to the Hub to investigate their "We come in Peace" message, D'Melza met him at the docking bay through which he had entered. She greeted him, introduced herself, escorted him to the office of Peacekeeper-General Mduul, and then left them alone to talk. She presumably died (along with the other 3 million inhabitants of the Hub) when the Axi-Tun secretly released their hybrid cosmic plague within the star station. Mr. Mduul was a M'Ndavian who was serving as Peacekeeper-General of the Charter at the time when they attempted to offer Earth membership in the Charter. When the Earth hero Quasar came to the Hub to investigate their "We come in Peace" message, Mduul met with him, gave him a tour of the Hub, and briefly explained the organization's history and goals. Seeing that his guest looked fatigued, Mduul escorted Quasar to a room where he could rest and suggested that they could further their discourse later. Unfortunately, before that could happen, the Hub was subjected to a covert Axi-Tun biological attack which killed all but one of its 3 million occupants. Mduul's body was the first corpse found by Quasar (the sole survivor) after his rest. Mduul's body was the first to be removed from the Hub and returned to his home planet, M'Ndavi. Soon after its arrival, as it lay in state in the Temple of Skarn, its skin ruptured and released the hybrid cosmic plague which then killed every M'Ndavian on the planet within hours. Note: Although this character's name is spelt "Mduul" in his first appearance, it was changed to "M'Duul" for his second. Maybe being dead caused how his name was spelt to change? A race of energy beings who are members of the Charter Federation. 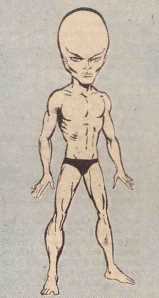 While no human has ever seen an actual Primal One, the Fantastic Four once encountered an artificial Primal One that had been created by the Myndai scientist/sorcerer Maur-Kon. Although basically a remote-controlled puppet, this false "Primal One" could pass through solid objects, possessed enough energy to power the gigantic battle robot Gigantauron and could telepathically "speak" inside the heads of other beings. The fact that Maur-Kon's phony Primal One fooled the crews of two Charter starships suggests that its appearance and capabilities were consistent with those of a real Primal One. Better known as the Colonizers of Rigel, this semi-humanoid race has established a vast empire of planets in their home (Milky Way) galaxy and in other nearby galaxies. Special adaptations: Psionic abilities allowing a Rigellian to control another humanoid's mind, or to overpower another humanoid's muscular power. Rigellians can also mentally alter their own physical density, thereby granting themselves greater strength. Type of government: Technocratic empire with officials chosen for their high intelligence quotient. Level of Technology: Advanced warp-drive starships, manipulation of subatomic particles, teleportation, robotics, ability to move planets via tractor beams and space warps. Notes: the Rigellians, also known as the Colonizers, have established a vast empire of planets in the Milky Way, Andromeda, and other nearby galaxies. They no longer colonize the worlds inhabited by humanoids, nor do they challenge the other interstellar empires (Kree, Shi'ar, Skrull).